There is a beautiful Advent House in the Christmas Vacation movie that has captivated me for years. (Note: It is NOT a family-friendly movie!) I love the way the warm lights shine through all the little windows as they are opened in the countdown to Christmas. That house is crazy expensive, but an advent calendar doesn’t have to cost a fortune to be considered an heirloom. It just has to have value to YOUR family. Something that gets your kids all excited as it is pulled out of the box year after year. For my family, that item is a hanging fabric Christmas tree with 24 pockets and a little stuffed Santa. I think I got it at the thrift store for $2. They take turns moving the Santa each day. 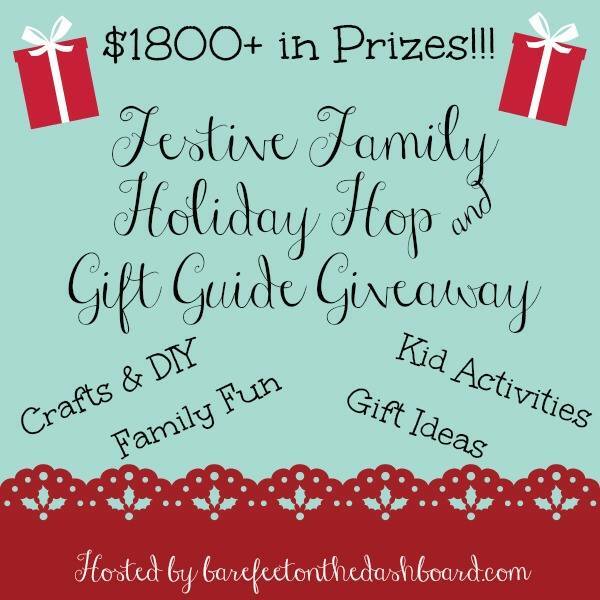 My teenagers are just as eager to participate as the younger kids because it is tradition. They know that the Advent tree will be there every year, and they enjoy the shared memories. 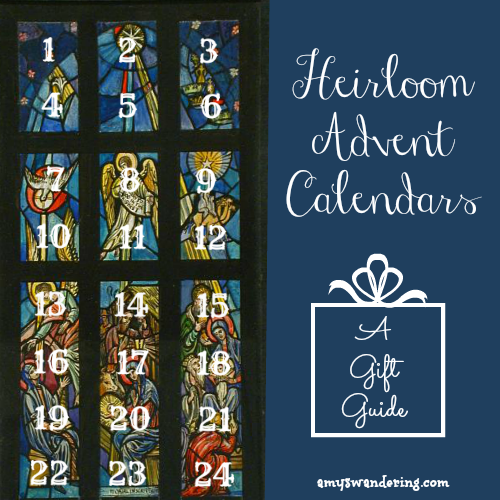 I’ve put together a list of Heirloom Advent Calendar ideas. 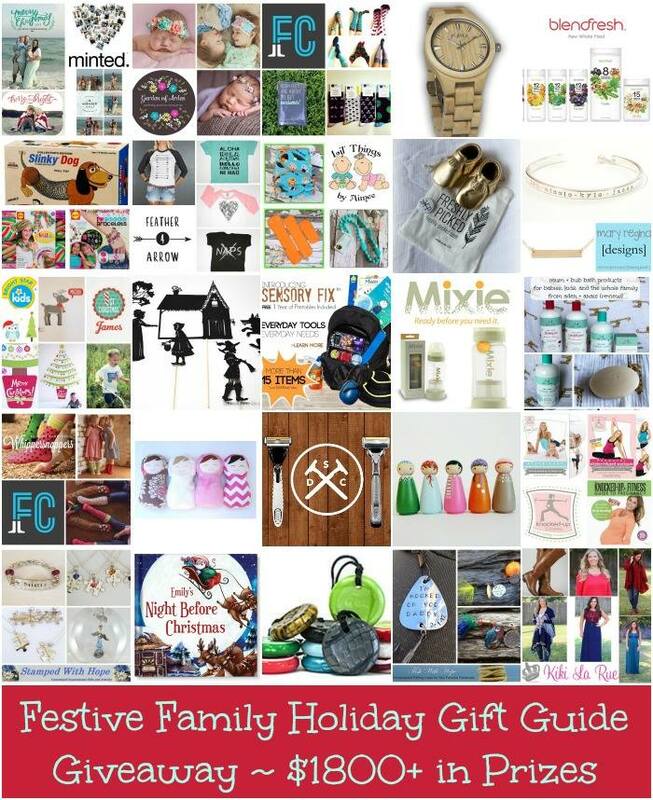 At the end of the list is a FREE option, and a link to several more advent calendars. If you don’t already have one, consider starting this new tradition with your family. Build the anticipation and wonder as it gets closer and closer to celebrating the day that a little baby came into the world and changed everything! 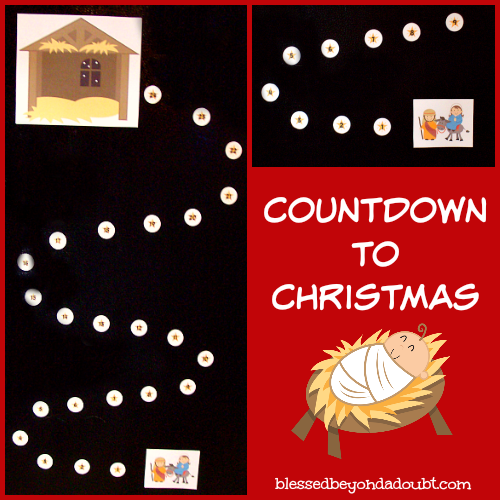 If purchasing an advent calendar is not an option, I have a Free Printable Nativity Set that includes a countdown. You could also bring out one new piece a day as you tell the story all the way to Christmas Day. Heirloom Advent Calendars @ Are We There Yet?